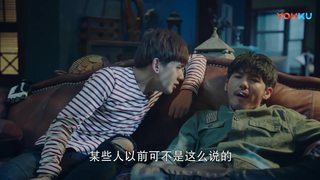 Note: In the novel, Zhao Yunlan's home is described as a dog's lair, which I believe is similar to the English phrase "a pigsty." I refuse to refer to it as a man-cave even for the sake of the prompt, but it's definitely a bachelor pad! For the purposes of spatial discussions, I am designating the wall with the front door as NORTH. There's at least one more room through a doorway in the east side of the main room. We never go in there and only get to peer through the doorway -- but in this photo you can clearly see the windows in the far east wall. Oh, and this weird panel by the front door into what I think is actually maybe the bathroom? There's a door into that area on the south side, at least, so I don't think it's an air shaft. Shen Wei is facing the south wall. Note the bed to his right and the door behind him. The fridge is just visible at the right edge of the photo. Here's the fridge again, the gray-green thing just to Zhao Yunlan's right. He's looking into the kitchen, which you may notice is nowhere near the fridge. This is the kitchen, with dirty dishes stacked to the top of the sink. Would you want to have to navigate that first thing in the morning? Me, neither. 3. What strange decor you have, Zhao Yunlan! There's a yellow-lit shelf of alcohol bottles, to match the yellow-lit table of alcohol bottles. Oh, and a fish bowl with a live fish! Next to the robot-lamp. 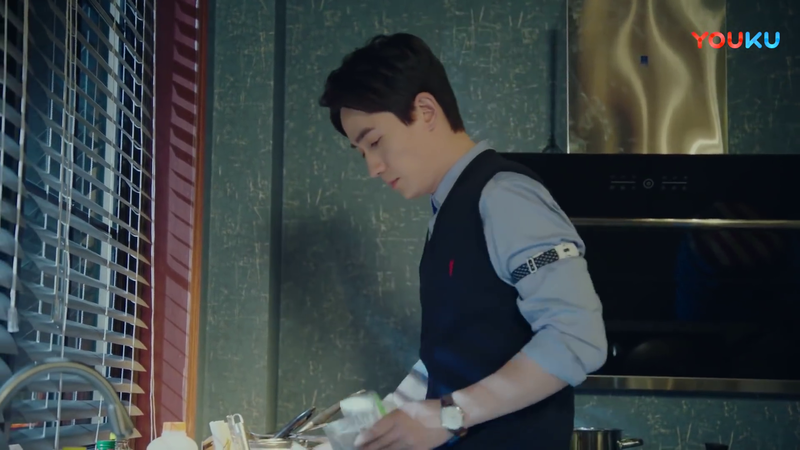 There's an animal skull on the table to Shen Wei's right, next to the stone lantern. Note the sports equipment on the north wall and the license plates on the south one. Also note the glowing ceiling, then go back and look at all the light sources in this place. 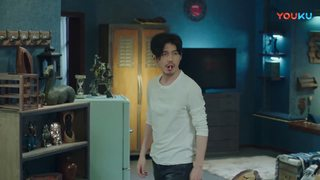 Zhao Yunlan has a million lamps, and they're all on most of the time -- including the white motorcycle lamp at the eating counter! 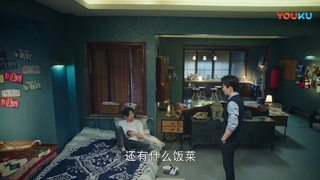 Da Qing's blue jacket is on a hook by the door; he's also got a tire and a swing by the big window seat on the south wall. There are just so many interesting things here! Oh, and he also has a weirdly reflective thing over his stove. Maybe it's an exhaust fan? 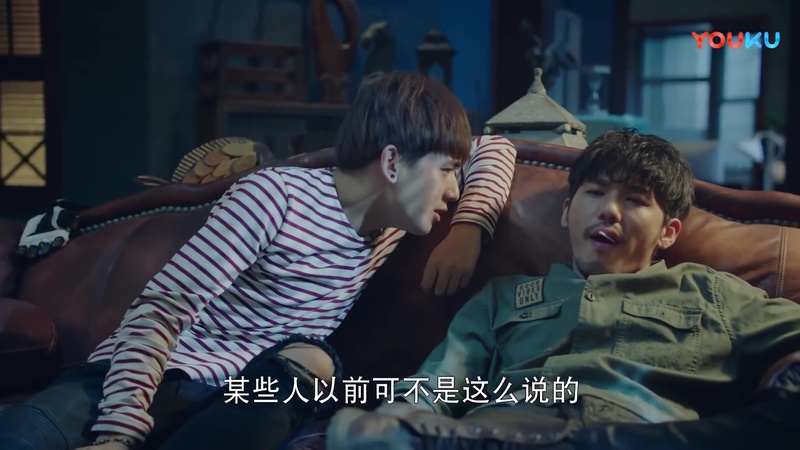 To sum up: Zhao Yunlan has a vastly interesting home, and I wonder about the stories behind every single thing in it. I'm pretty sure that the animal skull is a BEAR skull, but I don't know which species. 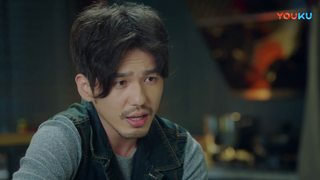 Do we know if it's there before Episode 7, when Shen Wei trolls ZYL with BEARS? I looked at the scenes in the apt. in Ep 06 and couldn't see anything one way or another. I'm willing to be persuaded that it's a bear skull! Do you have a good picture of it? I see, yes there is! I'm only up to Ep22 on my re-watch: do you have any good shots of the skull from later episodes? I'll put together the images we've got with some comparisons at my place, then link back to here when we've got a consensus. 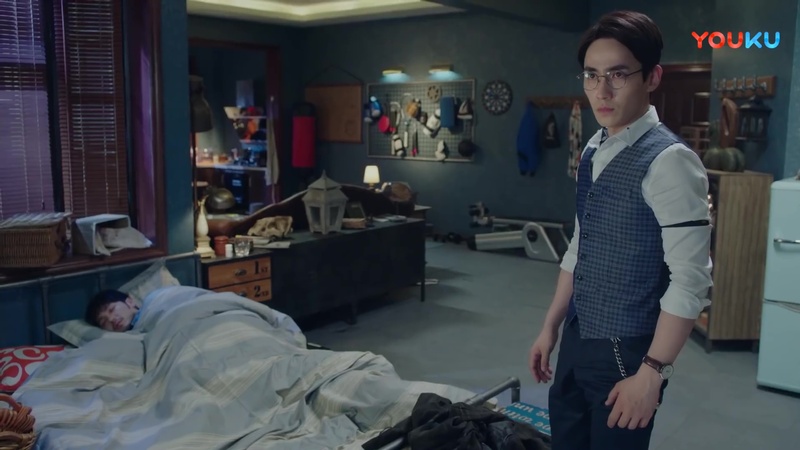 Hey, I think Shen Wei also has a bear skull at his place! Check out extrapenguin's Ep. 9 recap and look in the background of the "framing device" photo. Yes! It's clearly the same skull, but why did the Props Department use it in both places? Or is the skull stalking them? This is so useful, thank you! I just spent ages looking at them all. 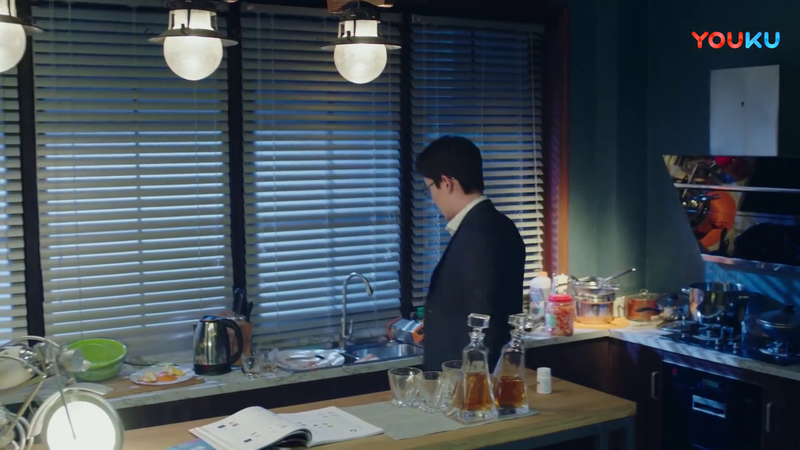 I'm weirdly fascinated by some of his decor, including the figurine of a bear (?) riding a motorbike that you can see on the shelf in the one where he's standing in the middle of the room in a white shirt. Could the figurine be this one (https://www.barkingbullies.com/products/motorbike-riding-french-bulldog-figurine-ornament)? Ooh, if only the motorbike had a sidecar. Now, who should ride in the sidecar? 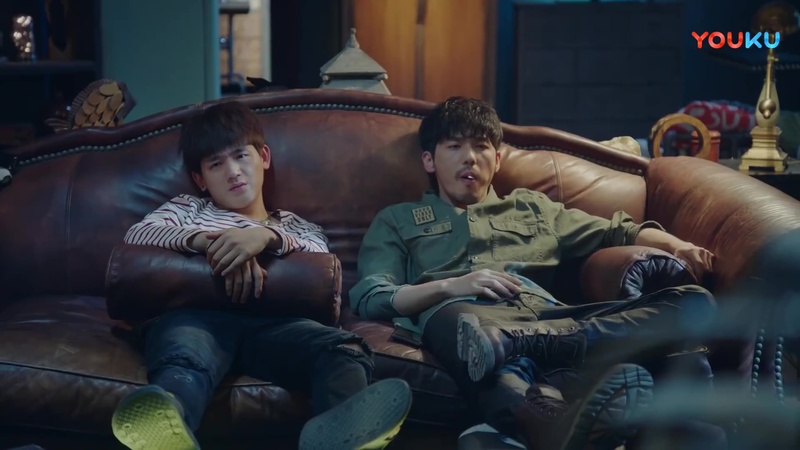 Vaguely related: I did have a conversation with someone recently about how in Detective L Luo Fei should totally have a motorbike and sidecar, and small fighty rookie could ride around in the sidecar! OMG, it total should. It was the 1930's after all. Also, just answered my own quesion: it could work out for ZYL, SW, and DQ altogether like this (https://www.imcdb.org/vehicle_445295-Indian-Model-741-1941.html)--SID special mobile unit! Thanks for sharing this! Will save these pics, that will be very useful!! It is interesting that the apartment is so very specific. On the one hand, the level of mess and smelly fridge and gross leftovers etc. reads typical bachelor pad, but on the level of actual interior design, he seems to have made actual choices and have views and all; he didn't just move in and put up an armchair and a fridge and a TV. Oooooooh! Lightbulb moment. Not that I'm opposed to the dirtier readings of that swing on principle but OF COURSE, THE CAT. Duh. Yes, this! Even his mess is like... not that bad? Considering how bad it's supposed to be? There's a basic order to most of it, like he used to keep it clean but got busy and doesn't care that much so it's gotten messy, but a single afternoon's work would fix it right up again. I do wonder with some horror what the bathroom might look like. But maybe also don't want to know. Thank you, this is very useful! The fridge placement is weird, but I've seen this in RL once, in an apartment where there was no room in the kitchen (or the fridge was too large for the alloted rom in the kitchen). I think the fridge is too tall to fit under the kitchen nook's counter. And what I really want to know is what the odd platform next to the bed is. A number of rugs, Da Qing's tire bed and a low table are on it - is it really just a huge window alcove? Headcanon: The many, many baskets are Da Qing's (he likes to sit in them). So is the animal skull (he likes to look at it and feel at the top of the food chain). Isn't it wonderful? It was one of my first Guardian icons, and it's made by the amazing tinny, who has a large selection of gorgeous Guardian icons. I'm actually really curious about this too -- especially because I think Shen Wei has a similar area in his apartment. Maybe it's a standard feature in Chinese apartments? Oh, this is so useful, especially for the story I'm writing right now! I also can't help but compare all this to Shen Wei's apartment, which appears to be the same dimensions, but has a completely different layout (where ZYL's kitchen is, Shen Wei appears to have...possibly a solarium or sitting or meditation room, and I actually can't figure out where Shen Wei's squeezed in his kitchen, considering he's got his study set up where ZYL's located his bedroom). My current head canon is that the extra room we never go into in ZYL's apartment is the intended bedroom, but ZYL found it more efficient to put his bed in the main room, where he could stumble into it straight from the doorway, and where he had a clear path to the fridge, and the bedroom proper is stuffed to the rafters with detritus from all his abandoned interests. Shen Wei discovered this with a kind of horrified fascination, and now he may or may not be portaling it all, a piece at a time, to various Dragon City thrift shops. Thank you! His apartment is so weird and interesting--there's lots to puzzle and ponder over. In particular, I'm very curious about what's written on the notes tacked up on that bulletin board. Thank you! The sets department sure had a good time with all the weird items. BTW, there are more shots of the east side of the main room at the end of ep. 30. It looks like a small study. And the little fighter fish is still alive in ep. 31!